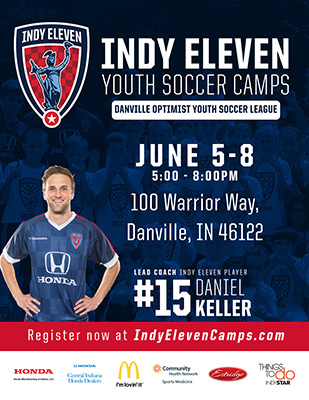 DOYSL is proud to host the only Indy Eleven Youth Summer Camp for 2019 at Warrior Stadium this June 3-6 from 5pm until 8pm each evening. DOYSL Rec game and practice schedules are distributed through team coaches. 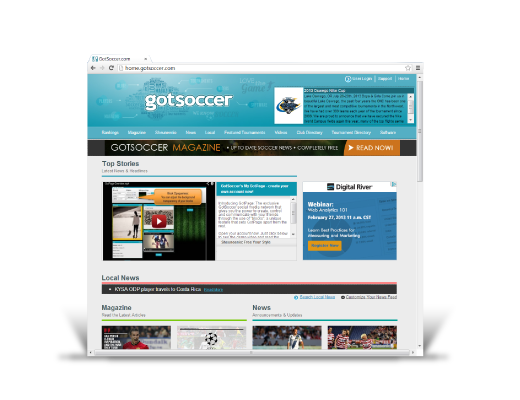 Rec+ practice schedules are also distributed through our team coaches, but game schedules are coordinated online through WCSSF. Welcome to Danville, Indiana soccer! 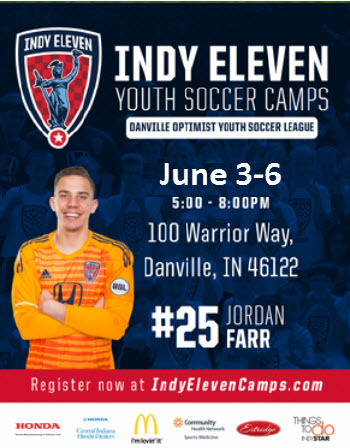 The Danville Optimist Youth Soccer League (DOYSL) is a non-profit organization of Recreation (Rec), Recreation Plus (Rec+) and Travel soccer programs. Our volunteers deliver quality youth soccer development by challenging our players, coaches, referees & families with a relentless pursuit of excellence. As a reminder, today is the last day for REC soccer registration without a late fee. Also we will only except players late if we need additional players for that age group.